Bicycling continues to be a very popular activity in our region for children and adults. Additionally, inline skating, skateboarding and scootering continue to grow in popularity. While all these activities provide a great form of exercise, wheeled sports are associated with more childhood injuries than any other consumer product except the automobile. Safe Kids Grand Forks is extensively involved in providing wheeled sports safety education throughout our community. Learn more about what we do, how to get the right helmet for your activity, the best helmet fit and many other tips to make sure you and your kids ride and skate safely. A helmet is a necessity, not an accessory. Wear a helmet every time and everywhere you bike, skate or scooter. 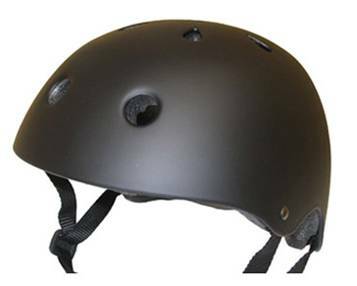 It is recommended that children of all ages wear helmets when riding on a bike or in a carrier. However, it is also recommended that children under the age of one year do not ride in carriers due to the limited strength in their neck and spine. Begin the helmet habit early. Insist your child wear a helmet from the time they begin riding in a carrier or riding a bike. Set an example. Wear a helmet. Your own example can make a big difference in encouraging your child to wear one. 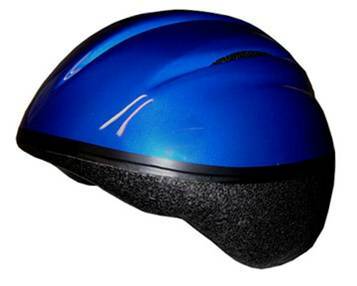 This is a bicycle helmet. If you fall off your bike, you are most likely to hit the	side or front of your head. This helmet protects those parts of your head. It is for bike riding only – it should not be used for any other wheeled sports, as it does not provide adequate protection! This is a multi-sport helmet. It can be used for all non-motorized wheeled sports (inline skating, skateboarding, scooter, bicycling). If you fall when doing some of these activities, you are most likely to hit the back, side or front of your head. This helmet protects those parts of your head. This is a toddler helmet. It is usually used by children who ride on tricycles or ride in bike carriers. Tricycles tend to tip over backwards and thus additional protection at the base of the brain is needed. This helmet looks a lot like a multi-sport helmet. Safe Kids Grand Forks offers helmets for sale to people of all ages at a reduced price. Our goal is to educate customers in the proper use of the helmets and their importance. To schedule an appointment for a fitting, email polsen@altru.org. Wear a bicycle helmet correctly. 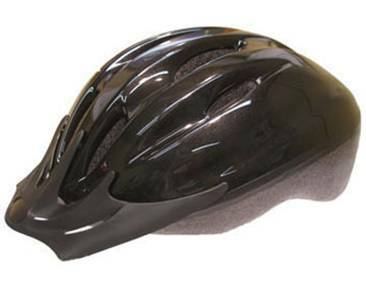 A bicycle helmet should fit comfortably and snugly, but not too tightly. It should sit on top of your head in a level position, and it should not rock forward and backward. The straps should always be secured. Learn the rules of the road and obey all traffic laws. Ride on the right side of the road, with traffic, not against it. Use appropriate hand signals. Respect traffic signals. Stop at all stop signs and stop lights and stop and look both ways before entering a street. 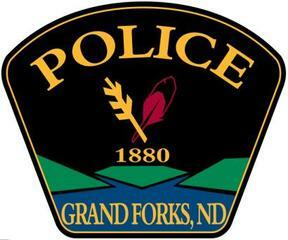 Refer to Grand Forks City Code on bicycle laws (Type bicycle into the Search bar). Cycling should be restricted to sidewalks and bike paths until a child is age 10 and able to show how well he or she rides and observes the basic rules of the road. Adult supervision is essential until the traffic skills and judgment thresholds are reached by each child. Safety on Wheels: In partnership with the Optimist Club of Grand Forks, Safe Kids offers head injury prevention presentations to 3rd grade classrooms in the Greater Grand Forks region. Following the presentations, all students in the school are given the opportunity to purchase helmets at a reduced price. 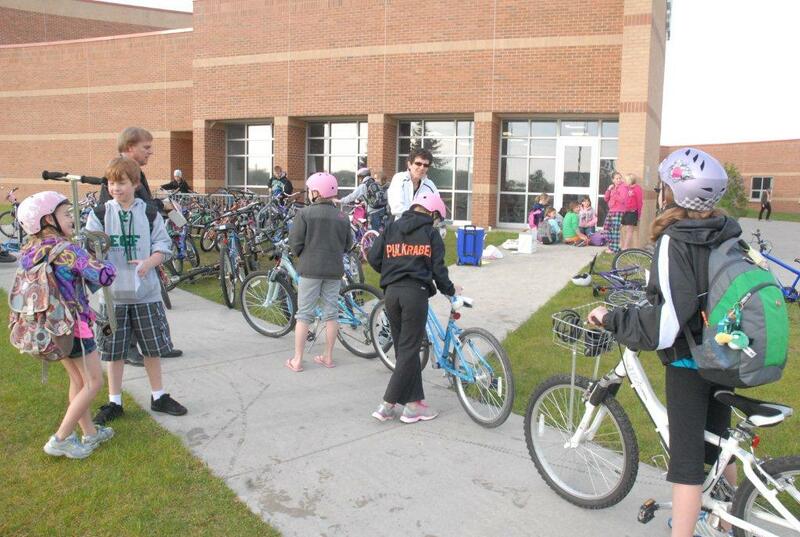 Within the following week, the Optimist Club conducts a bike rodeo at schools in Grand Forks and East Grand Forks. 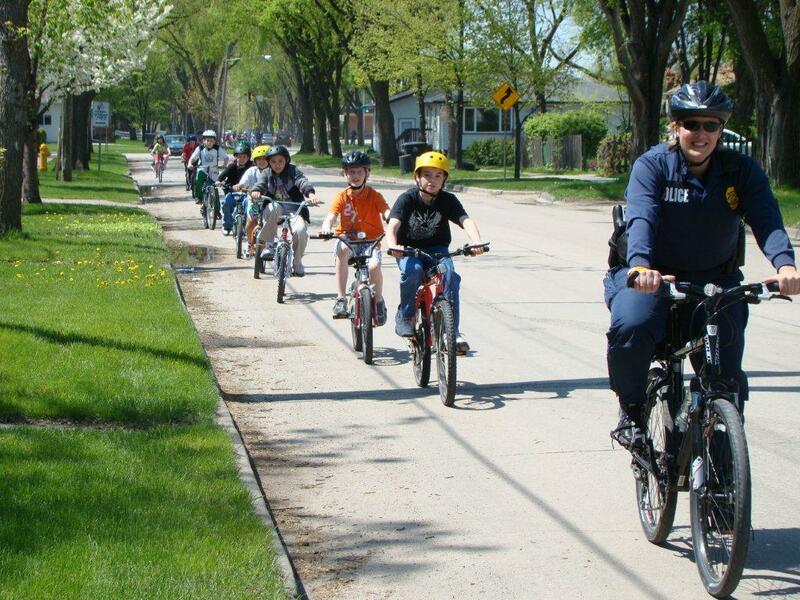 A bike rodeo is a safety course that teaches children the skills they need to ride safely. They also conduct a bike inspection and simple maintenance. In recent years, Safe Kids has been able to extend the head injury presentations and helmet sales to schools throughout the region including Manvel, Thompson, Larimore, Emerado, Crookston and Northwood. If you are interested in having this program brought to your school, contact Safe Kids. While the Optimist Club can not travel to regional schools for rodeos, Safe Kids does have a bike rodeo kit available. 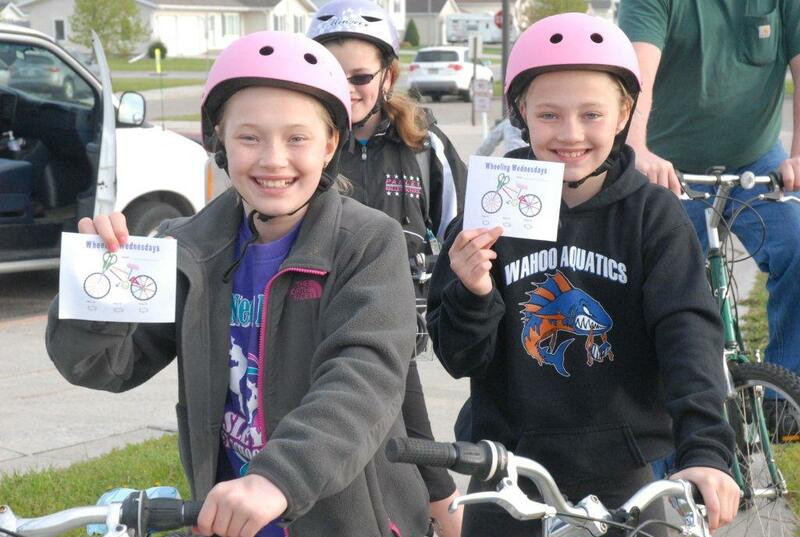 Bike to School Day: Safe Kids works with schools in East Grand Forks and Grand Forks to promote this national event in May of each year. On that day, students are encouraged to ride their bicycles to school. School staff and Safe Kids volunteers greet students as they arrive to promote safety, check helmets and encourage healthy habits. Over the last several years, participating schools have had large numbers of students choosing to ride to school on this day. Rollin’ on the River inline skate events. Safe Kids Grand Forks and local McDonalds restaurants have teamed up each summer to offer the "Cone Head Program". 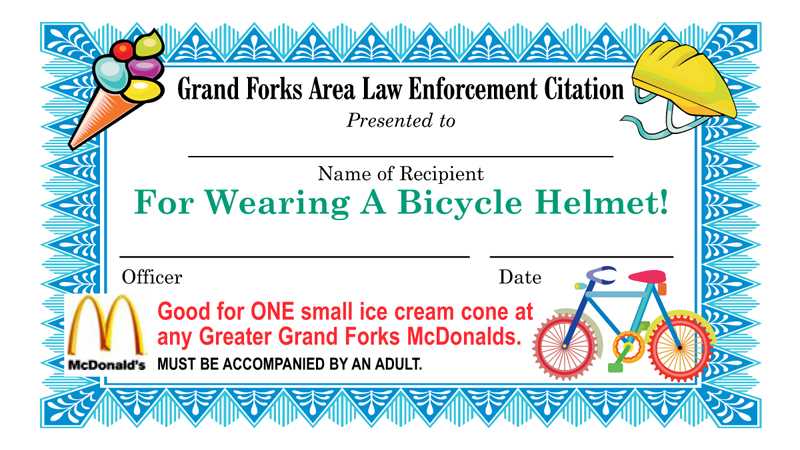 This incentive program has Grand Forks Police Officers "reward" kids seen wearing helmets with a "Cone Head Citation". This includes a card for a free ice cream cone at McDonalds. Wear your helmet and maybe you'll be "caught" too. 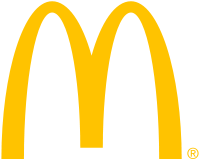 We thanks the Grand Forks McDonalds for their support of this program. This program is also offered in Larimore, ND thanks to The Scoop & Larson's Drive Inn. Safe Kids Grand Forks has partnered with the Grand Forks County Sheriff's Department to "catch" kids being safe in this community. In Northwood, ND, the Northwood Police Department and Cool Stuff Drive Inn offer the Cone Head Citations in partnership with Safe Kids Grand Forks. 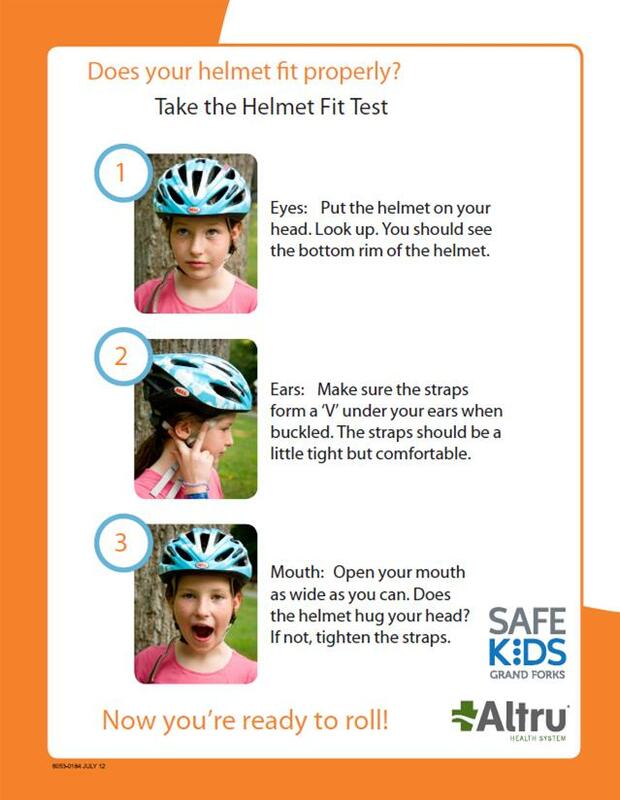 We applaud these efforts to "catch kids doing the right thing by wearing their helmet". In addition to these recognition programs, AAA North Dakota and Dairy Queen have partnered with several other entities to offer "I Got Caught" certificates to children throughout the state. To learn more, visit AAA.com/Safety for bike safety information. Here is a flyer of our Safety Items for Sale. The Cities of Grand Forks and East Grand Forks have done a great deal to support and promote biking in our community. The website they have created provides information on bike maps, upcoming events, biking improvements and rules of the road. To access their web page, click here. To obtain hard copies of these materials for distribution, contact our Safe Kids office. Grand Forks and the surrounding area have worked very hard to make our community a bike friendly city. The League of American Cyclists offers recognition levels that are designated following a rigorous application process that involves many facets of bike safety, enforcement, education, engineering and activities. In November 2014, Greater Grand Forks was awarded the Bronze Level Designation by the League of American Cyclists and we are proud to be a part of the process for that application, a part of the activities that go into making this happen and a part of a community that strives to be "BIKE FRIENDLY". See the "report card" that recognizes our accomplishments and sets goals for future level advancements.